Snow Summit is a sister mountain of nearby Big Bear Mountain Resort (about 3 miles away), offering its own appeal to Southern California skiers and riders. Founded in 1948, Snow Summit is home to 240 acres of skiable terrain, 31 trails and offers convenient access to nearby lake activities. The mountain resort sits at an elevation of 7,000 feet in the San Bernadino Mountains, grants access to varied terrain via 14 lifts and provides an average 100 inches of annual snowfall. The top elevation of 8,200 feet gives skiers and riders access to 1,200 feet of vertical drop. Other on-mountain activities include a tube park, climbing wall and night skiing. 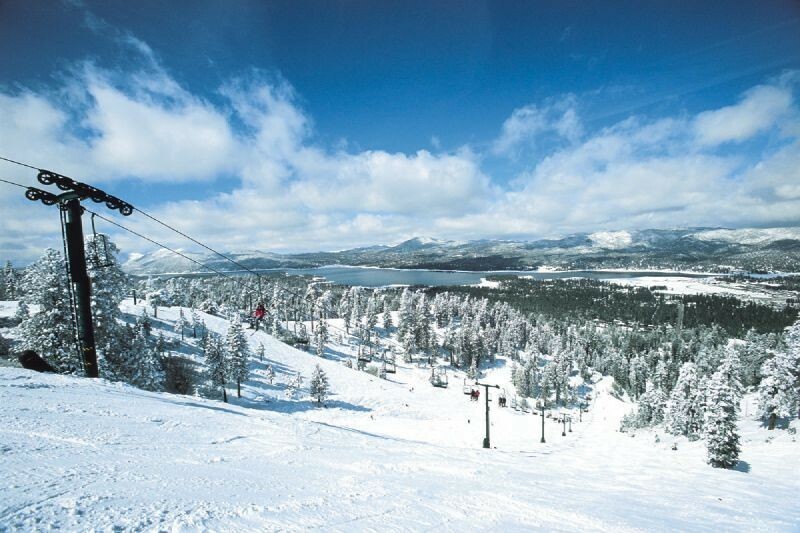 Snow Summit’s base area rests within one mile of Big Bear Lake and is a two-hour drive from Los Angeles. Snow Summit is a convenient option for flyers thanks to its close proximity to Ontario International Airport, which is located 60 miles west of the ski area. The summer months provide the perfect weather for mountain biking on Snow Summit’s lift-served bike park. The mountain resort offers bike rentals and summer season passes for die-hard bike riders. Restaurant, deli, and cafeteria. Ski (ages 4 to adult) and snowboard (ages 6 to adult) school and rentals, demo center, test center, and sports shop.